Knowing how to use snares and traps for survival trapping can help you deal with one of the most challenging pursuits in a longer term survival situation: the ability to obtain protein and fat. Though one can certainly eat numerous edible plants while out in the back county you can't get nearly as high a caloric return from plants as you can from meat. You can certainly use a throwing stick or survival bow to obtain food, however, active hunting can be a very time consuming pursuit. Time spent hunting is time that cannot be spent on other tasks such as shelter improvements or tool construction, and by no means are all hunts successful. Learning snares and traps for survival trapping to catch animals effectively can provide you with a distinct advantage in any type of back-country survival situation. This article will discuss two major trap types of snares and traps for survival trapping: snares and deadfalls. A snare is essentially a loop that is set up to tighten around an animal as it passes through. Modern steel snares have a mechanism that allows them to tighten but loosen only when manipulated in a specific manner. When an animal is snared its natural reflex is to flee using all of its strength to "pull" away. Modern snares were designed with this in mind and utilize the animal's forward momentum to tighten the snare. Therefore modern snares used in survival trapping scenarios can be set nearly anywhere and only require that one end be staked into the ground or anchored to some sturdy object. Primitive snares do not commonly have a one way slip mechanism and generally utilize some type of stored energy to tighten the snare around an animal's neck. The most frequently used method of storing energy is a bent sapling, however, don't let yourself be constrained by this method. As with all primitive skills learn the principals of the skill, in this case snares using stored energy, and then adapt your traps to the environment in which you find yourself. One of the most simple and useful snares that can be utilized for survival trapping is a rolling snare (pictured in the photographs below). The rolling snare utilizes a trigger mechanism that is easily created and very effective. Essentially the trigger mechanism holds the weight of the stored energy. If designed correctly, the trigger mechanism will hold the energy until just the right moment, which is the moment an animal enters the snare and lightly tugs on the snare loop. 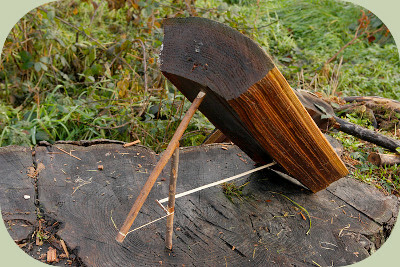 Generally, rolling snare triggers are designed to hold stored energy in the form of upward tension created by a bent sapling, as is the case in the photographs below. The trigger is therefore designed to release upon force to the left or right. Once the energy is released the snare tightens around the neck of the animal hopefully ending its life quickly and humanely. 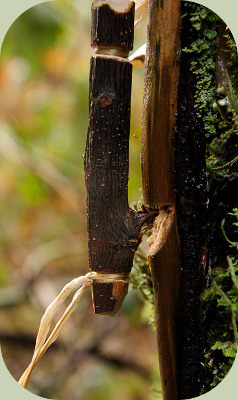 Deadfalls utilize a completely different strategy than snares and are often much easier to create. Rather than storing energy to indirectly dispatch an animal, as in the case of the snare, deadfalls utilize stored energy to crush an animal directly. The goal of the deadfall is to create a trap that supports a heavy object that, when triggered, falls on the animal, crushing it instantly. The two most commonly taught and easily created deadfalls, are the Figure Four and Paiute Deadfalls (pictured below). When in a survival environment, materials and tools available can vary greatly from situation to situation. For this reason it is important to practice and master many different types of snares and traps so that you will have a well rounded knowledge base to work from. Snares and traps for survival trapping can be a very challenging pursuit. 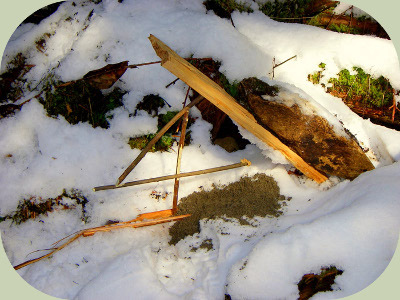 It is very common for wilderness survival skills students to spend a lot of time learning how to build and trigger primitive snares and traps, and not so much time on a much more in depth and challenging study, where to set traps for a successful harvest and what to bait them with. I often say that wilderness survival, tracking, and naturalist knowledge cannot be separated from one another. Survival trapping is the perfect expression of this point. A great trap in a bad location is a bad trap. Figuring out the best place to set a trap can be extremely challenging without knowledge of animal behavior and tracking. The only way to truly learn these things is to spend time in the outdoors looking for tracks and sign that can give you a window into animal movement through a landscape. A good field guide to animal tracks and behavior can supplement your time in the field and boost your knowledge so that you don't have to have a lifetime of experience to predict where a specific type of animal is going to be at any given time of day or year. I urge you not to discount the importance of these skills. As a trapper, if I had to choose between naturalist knowledge and knowledge of trap dynamics I would choose naturalist knowledge all day. A creative mind can come up with a device that can trap or kill an animal with a minimal amount of trapping theory, but if you can't find the animals in the first place you will never be successful at trappeing. Disclaimer - Primitive animal snares and traps for survival trapping are illegal in many states, and in the states where they are legal one must typically purchase a trapping license similar to a hunting license. 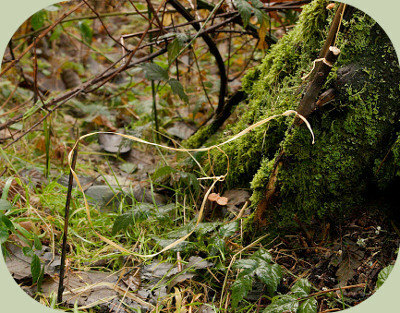 Make sure you are familiar with the local regulations regarding snares and traps and are working within the local laws. If trapping is illegal in your state you can still practice using snares and traps by making your traps non-lethal. Deadfalls can be rendered non-lethal by simply putting stopper sticks in the ground to catch the deadfall before it crushes an animal. Snares can be rendered non-lethal by creating a weak spot in the snare itself. I often do this by utilizing sewing thread to create a weak spot in the snare that will break away when it is triggered by an animal. 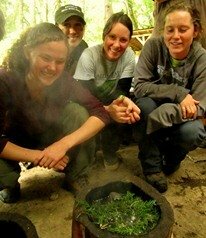 Traps and snares for wilderness survival applications are taught as part of our Wilderness Survival Courses.